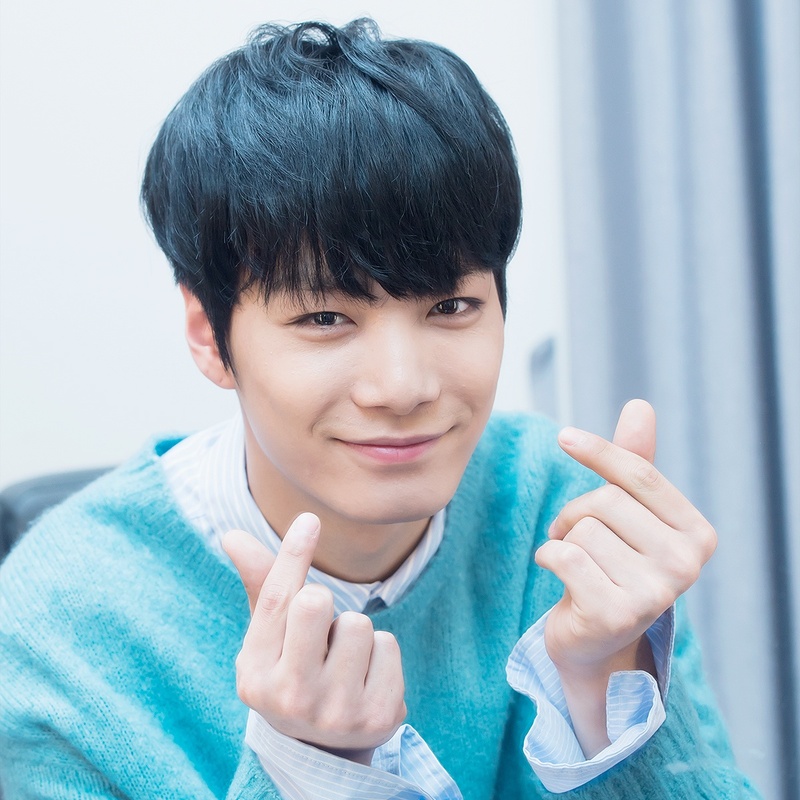 NU’EST‘s Kim Jonghyun has stolen the hearts of the nation with his amazing leadership skills on Produce 101, which has earned him an endearing new nickname. On the latest episode of Produce 101, the trainees needed to work together in the first round of group performances. A group, dubbed “Justice League“, came out on top thanks to the leadership of Pledis Entertainment‘s Kim Jonghyun, who stopped at nothing in making sure his team gave the best performances they could. “Justice League” received quite a bit of attention for their flawless performance of Super Junior‘s “Sorry Sorry” as well as their rehearsals, which gave viewers a glimpse into the group’s dynamics. The group seemed to be doing well during their rehearsals except for YGK+‘s Kim Hyunbin who was struggling to keep up with the choreography. 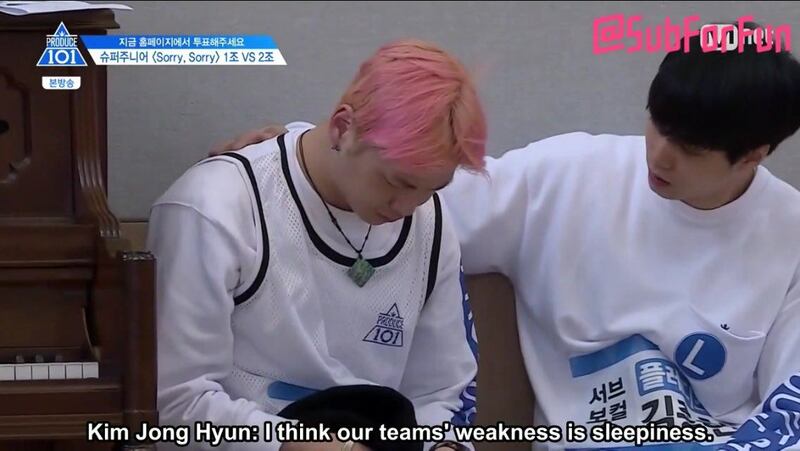 Jonghyun did not let that deter the team and worked with Hyunbin, trying to fix any issues he was having. 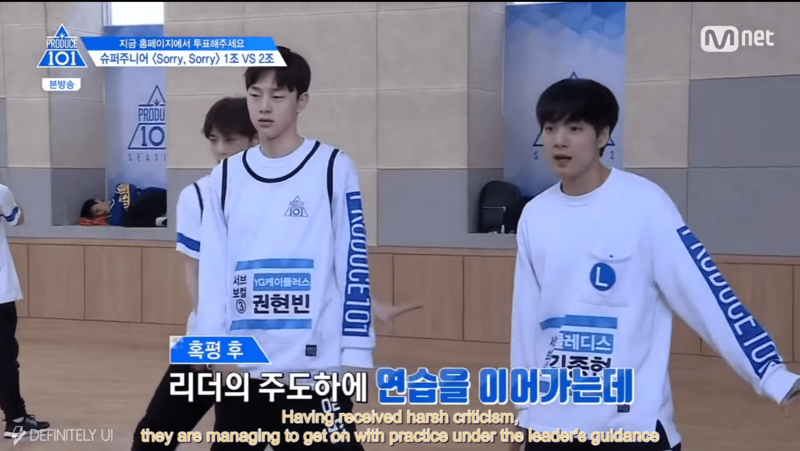 Jonghyun even took the blame upon himself for the lack of preparation on Kim Hyunbin’s behalf when their dance instructor reprimanded the team. 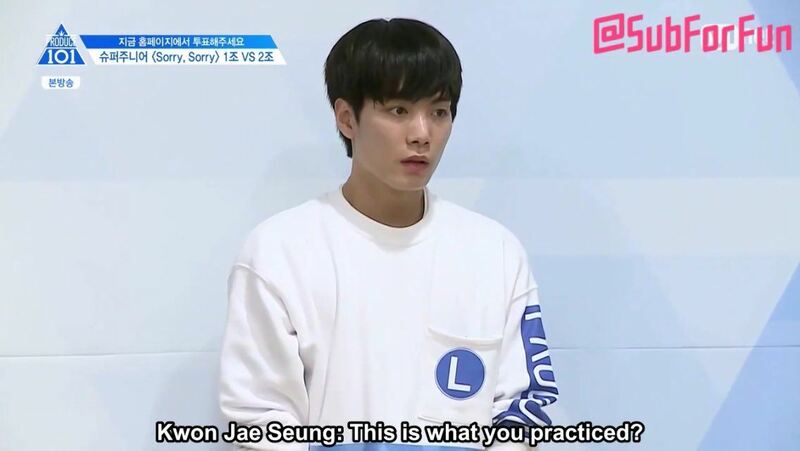 Even when the entire team was struggling with physical exhaustion and mental stress of rehearsals, Jonghyun was there to keep everyone going. Providing comfort for his teammates and keeping them on track. 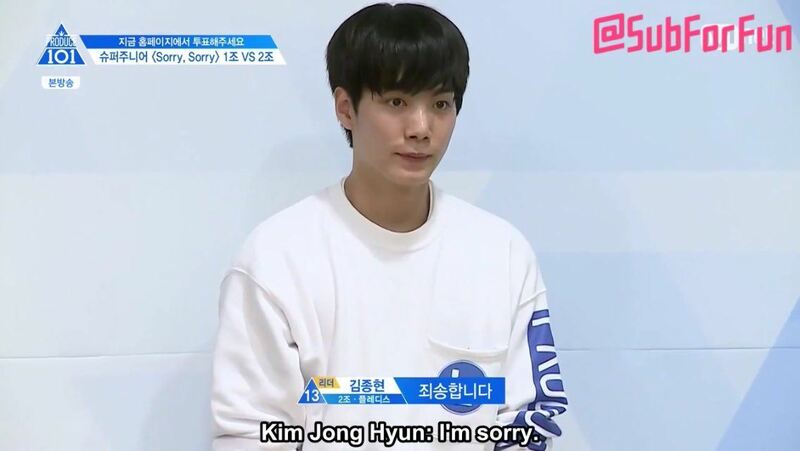 Because of his patience, care, and humbleness, the viewers have now dubbed Kim Jonghyun, “Angel Leader”—a fitting name for the Pledis contestant.